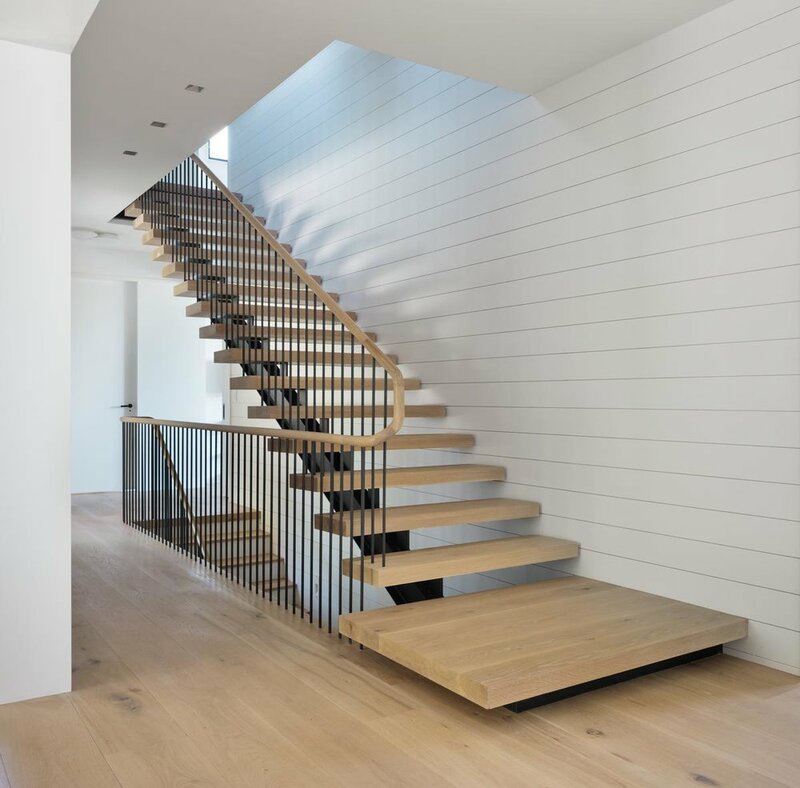 Madera offers a range of stair treads and parts to both match and complement our finished floors. We will work with you to determine the necessary elements to complete your space and provide a seamless transition from floor to floor. Stair treads may be specified in either solid, 3 piece glue-up or solid nosing on engineered tread. 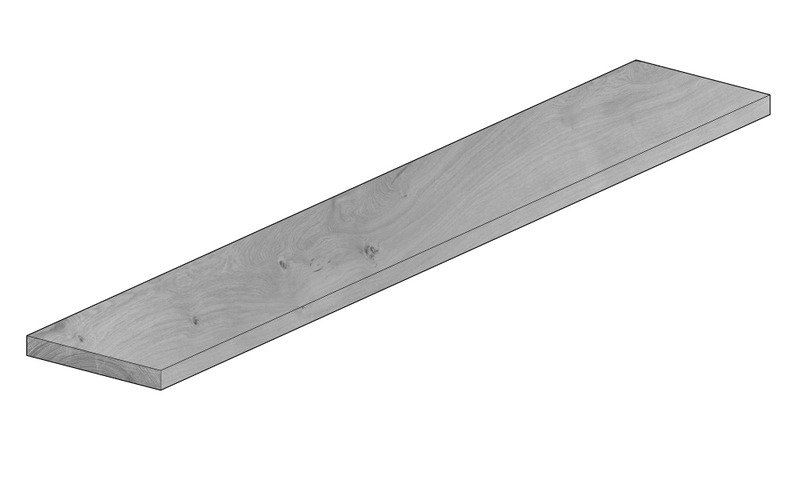 Stair treads and nosings may be specified with either a square, beveled, or rounded profile. Stair Risers are typically engineered floor boards cut to size in the field. A skirt can be oversized and scribed in the field as needed. Wood thresholds can be finished to match the adjacent flooring, and produced in a number of profiles to account for elevation changes as needed.